Welcome back to this week’s meet the blogger post. I hope you caught up with last week’s post featuring my blogging bestie Hannah. This week’s post features a blogger I discovered a few months ago and one I am very grateful that I did. Meet Fran from Francisca Rockey. Fran is an 18-year-old student from North London. Her blog is all things lifestyle, beauty and fitness. I love that whenever I read Francisca’s blog, I feel like I’m catching up with a good friend. She makes you feel so welcome and is such a down to earth kind of girl. Hey, Fran. Why did you decide to start a blog and how long have you been blogging for? I decided to start a blog after months of reading Zoella’s blog back in 2014. I remember wanting my own site where I could share things I loved and loathed and a place to document my memories. What’s your favourite part of the whole blogging process? My favourite part of the whole blogging process is writing. I was gifted and talented at school for English, so writing has always come naturally to me. I like being able to get people engaged through my writing. Practice makes perfect and with each post, I feel more of my natural speech comes through and my writing is becoming more relaxed and less scripted. Is there anything you dislike about blogging or is there anything you wish you could change? For a long time, I disliked photography because I was hopeless at it. Over the last 5-6 months, I have been practising behind the scenes and I think I have improved massively, check out my Instagram and let me know what you think. Have I improved? I’d like to think I have. Fun fact about all the photos shot on my blog or Instagram, they used to be taken on an iPhone 4s from 2014-2016. Then I upgraded to a 6S plus so from 2016-2018 July, I have been shooting using that and as of July 20TH, I will now be shooting using an iPhone 8 plus so huge improvements are on the way. I also have my eye on an Olympus Pen but I am still umming and erring about that investment. As for things to change, I would change the lack of diversity in the blogging industry. Diversity is something I feel very strongly about being a WOC and I feel a lot of campaigns do not reflect the diversity in the UK and a lot of products are marketed towards a certain beauty standard. What’s been your favourite brand collaboration and why? My favourite brand collaboration to date was with Loccitane. When I received an email from them I was in complete shock, never did I think that my little slice on the internet would lead me to work with such a big, well-known brand. How do you stay consistent and organised with your blog? ForeverSeptember sent me a care package last year and one of the items was a pink notebook which I turned into my first blogging notebook. I use 3 pages for each month, the first page will have the month as a header and the days I am planning to post and what post I am going to post on that day. Below that, I write out my social goals for the month, I like to hit a milestone every month so by writing it out, I get the motivation to produce better content, so I can reach said goal. So that’s how I stay organised, a notebook dedicated to blogging. I stay consistent by dedicating my two days off a week purely to blogging. I reply to emails, pitch to brands, open PR packages, write, schedule and photograph for upcoming posts. I have been in this routine for the last 4 months and it seems to be working very well for me. So much so, I have started posting twice a week instead of once a week, I am hoping to keep the twice a week schedule going for as long as possible. 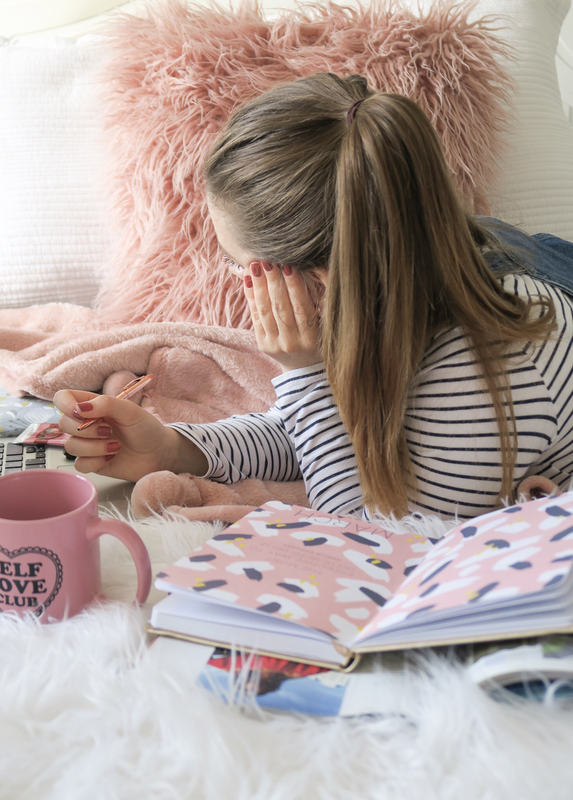 Who are some of your favourite go-to bloggers when you need some inspiration or a good read? My go-to bloggers are Forever September, Becc4, ItsPhoebeRose, pintsizedbeauty, Inthefrow and graciefrancesca. There are so many more blogger who I get inspiration, or I can guarantee ill get a good read from, but we’d be here all day if I were to list them all. Next year? Erm… Next year seems like ages away but we’re only 6 months away from 2019. scary stuff. I haven’t really thought about my blog next year if I am honest, this is something I need to think about and start planning for. Which social media platform do you find the most enjoyment out of? It gives me a headache and trying to gain followers can be hard, but I get the most enjoyment out of Instagram. I’m enjoying taking photos as I go about my day and sharing them with a lengthy caption and having my followers engage with me. If you had to start your blog again, is there anything you’d do differently? As much as I love my full name, if I were to start my blog again I would go for a different blog name not involving my name. I like the anonymity of having a blog name that doesn’t contain your name like ForeverSeptember for example, catchy and Lucy’s identity is anonymous at a first glance. My favourite blog posts to create are my lifestyle posts. I love sharing my experiences and views on certain topics, I think I am leaning towards being a lifestyle blogger and cutting out fitness and beauty from my blog and keeping it strictly on Instagram, but we’ll see. Thank you so much, Fran, for letting me interview you. I loved reading your responses and I hope everyone else did too. You can check out Francisca’s blog here! Go share Francisca some love and support. Join in next week for another meet the blogger post! You can catch up with the whole series here. Still loving this series Lauren and it was so nice to see Fran featured! Ahhh I love this series! Awww, my heart sparkles for how talented and professional you are becoming in blogging Lauren, and in massive strides! I’ve really enjoyed you’re “Meet the Blogger” series. They don’t feel forced. They feel chatty and passionate about the people you’re writing about and sharing and that’s what makes the posts so enjoyable and authentic!